Henri Fantin Latour (Grenoble, 1836 - Basse-Normandie, 1904) was a French painter and printmaker associated with the Impressionist movement, and best known for his portraits of Parisian cultural figures and still lifes. 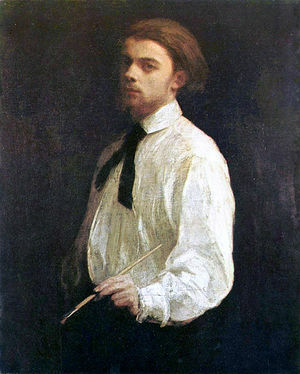 He was friend of Jean Auguste Dominique Ingres (1780-1867), Eugene Delacroix (1798-1863), Jean-Baptiste-Camille Corot (1796-1875) and Gustave Courbet (1819-1877); been student of the last one. A Carafe of Wine and Plate of Fruit on a White Tablecloth, 1865. Roses in a White Porcelin Vase, 1874. Asters in a Vase, 1875. White Peonies and Roses, Narcissus, 1879. Chrysanthemums and Varied Flowers, 1879. Roses Lying on Gold Velvet. Bouquet of Roses and Nasturtiums, 1883. Roses in a Stemmed Glass, 1890. Still Life - The Engagement, 1869.